Varna, Bulgaria - May 29, 2015: Gmail App On The IPhone Display.. Stock Photo, Picture And Royalty Free Image. Image 43486362. Stock Photo - Varna, Bulgaria - May 29, 2015: Gmail app on the iPhone display in man hands and Gmail desktop version on the Macbook screen. 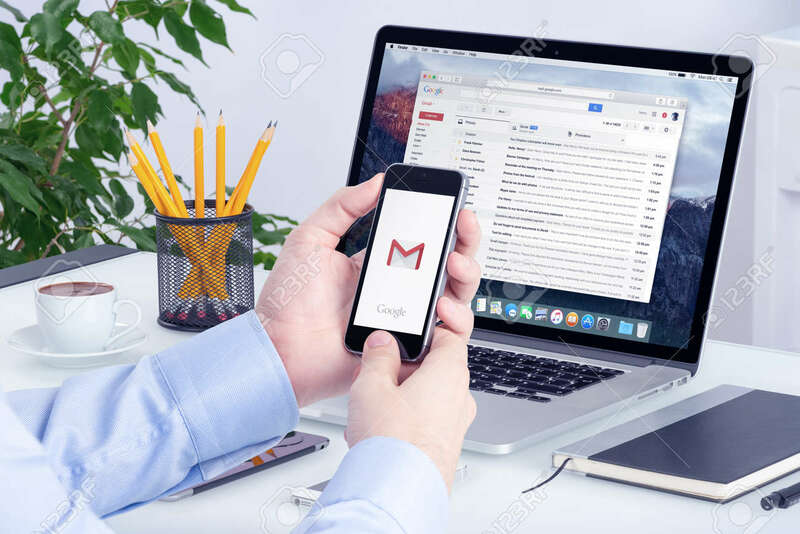 Gmail is a free email service provided by Google. All gadgets in focus. Varna, Bulgaria - May 29, 2015: Gmail app on the iPhone display in man hands and Gmail desktop version on the Macbook screen. Gmail is a free email service provided by Google. All gadgets in focus.